Thuraya protective cases from SATTRANS are made of high quality leather and indispensable for stylish and durable protection of your Thuraya phone. 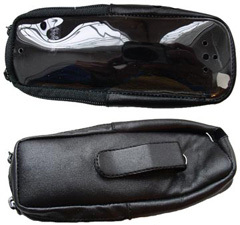 The leather case fits the following models of Thuraya phones: SO-2510, SG-2520 and Thuraya XT. The case is available in one of the two types: with swivel or clip as the attachment device.